Leave your old job on a positive note. As excited as you may be about moving on to a new job, it's important to tie up loose ends at your old job first. Be sure to save all documentation related to your separation. Meet with an HR representative to review your benefits. • Benefits such as employer-provided health, disability, and life insurance will expire. COBRA can help you fill any gaps in health coverage during your job transition, but be sure that you understand how the program works and how much it costs. • You may be entitled to back pay, vacation days, and paid time off, or future pensions. Ask how such compensation will be handled. Decide what to do with your qualified retirement plan assets, such as your 401(k). • You can move your plan assets to an individual retirement account (IRA). With a direct (trustee-to-trustee) transfer, the funds maintain their tax-deferred status and avoid any penalties. • You can leave the account with your old employer if permitted. This may be a good option if you are satisfied with the plan's investment choices and costs. • You an withdraw the assets. Unless you meet specific conditions, however, your employer may withhold a percentage for estimated taxes, and you may have to pay additional taxes and penalties. Determine the value of any stock options, and decide on an action plan. If you have vested stock options, find out how you have to exercise them—for example, are accelerated expiration schedules in place? Request your current grant sheet from your employer; the information will help you evaluate both the financial and tax impact of exercising options. Review your life insurance and disability insurance policies. Employer-provided life insurance is active only while you are working for that employer. You may be able to convert your policy to an individual policy offered by the same insurance company, but you'll be responsible for the premiums. If your previous employer gave you the option to buy additional insurance through its plan, you may be able to keep this coverage for yourself, depending on the policy. Keep in mind, however, that the premium for this coverage will likely be higher. Address your other benefits plans. If you have an executive benefits plan or a non-qualified deferred compensation plan, be sure to understand your options. Many plans require a lump-sum distribution, which may impact your taxes. Start your new job on the right foot. • Enroll in the new retirement savings plan as soon as possible, taking full advantage of any employer match. If possible, increase your contribution to the maximum amount allowed. Small changes can add up to larger savings. • Choose the health insurance option that best matches your needs. Find out when open enrollment takes place in case you wish to make changes in the future. • Review your life and disability insurance coverage to ensure that you have adequate protection. • Fill out beneficiary designations for your insurance policies and savings plans. Once the information is processed, check the confirmation for accuracy. • Review your federal and state tax status. A salary change may impact your withholding requirements, estimated tax payments, and investment strategies. As a guest blogger, I'm unable to respond directly to comments posted below, but if you have any questions about transitioning your benefits when starting a new job, please don't hesitate to contact me directly. I'm happy to help! 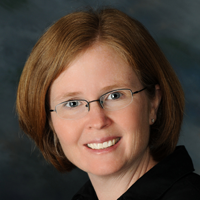 Kristen Smith is a guest blogger, representing Axial Financial Group in Burlington, MA. She offers securities as a Registered Representative of Commonwealth Financial Network, Member FINRA/SIPC. CRR, LLP (also represented as CRR, CRR CPA), Axial Financial Group, and Commonwealth Financial Network are separate and unrelated entities. Kristen can be reached at 781-273-1400 or kristen.smith@axialfg.com. This material has been provided for general informational purposes only and does not constitute either tax or legal advice. Although we go to great lengths to make sure our information is accurate and useful, we recommend that you consult a tax preparer, professional tax advisor, or lawyer.